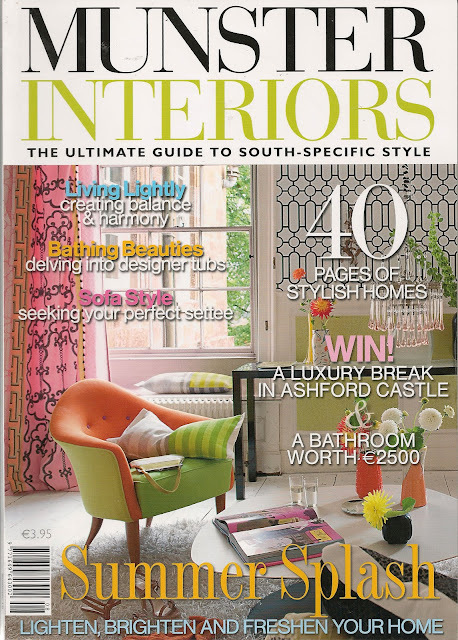 Pure Style Home: Munster Interiors Magazine!! To read the full article, (which includes some of my favorite bloggers) go here. Have a beautiful weekend!!! We're "getting organized" - ha! Great article - congrats on the recognition! Happy Friday! Wow, what an honor! congratulations on a beautiful article and recognition! That's so wonderful, Congratulations on the honor! Have a fabulous weekend too! Great honor for a woman who does it all well! Many thanks for the link Lauren and I'm glad you're happy with the article, many thanks again for taking part. Congrats! Such a nice feature and well deserved. Have fun getting organized. It is the story of my life at the moment. I've got a giveaway up as a result...would love for you to pop over. How great!! Congratulations! Thanks for the link to the article. I know that I plan to drop in on the other blogs to check them out. not only a great article but a FAB photo! Congratulations Lauren! Great universal exposure. Well earned!!!! Congrats, it is so well deserved! !